Model Scorpena C3 with an original SCORPENA bright blue camo age has contrasting details, which visually break the silhouette of spearfisher and make him invisible on the underwater terrain. 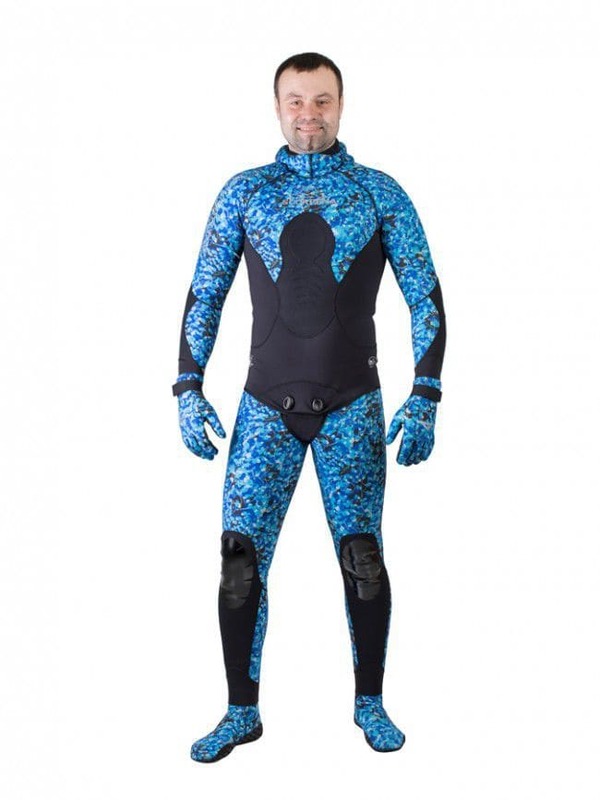 1,5 mm wetsuit is designed for hunting in tropical seas. 3 mm is for a warm water. Pants of 1,5 mm model are high-waist, 3 mm model got a long-john cut. 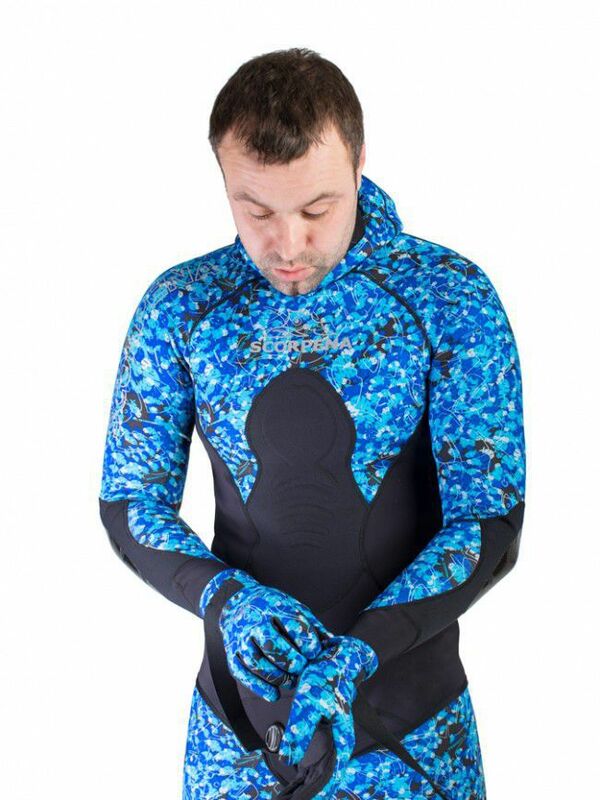 The wetsuit is made of soft and elastic neoprene Sheico. On the outside, the suit is covered with an extra-elastic Lycra. 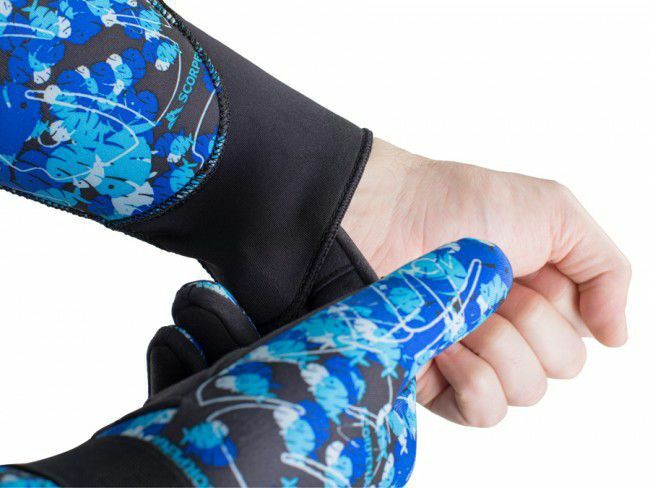 Elbows and knees are made of durable and stretch Supratex. 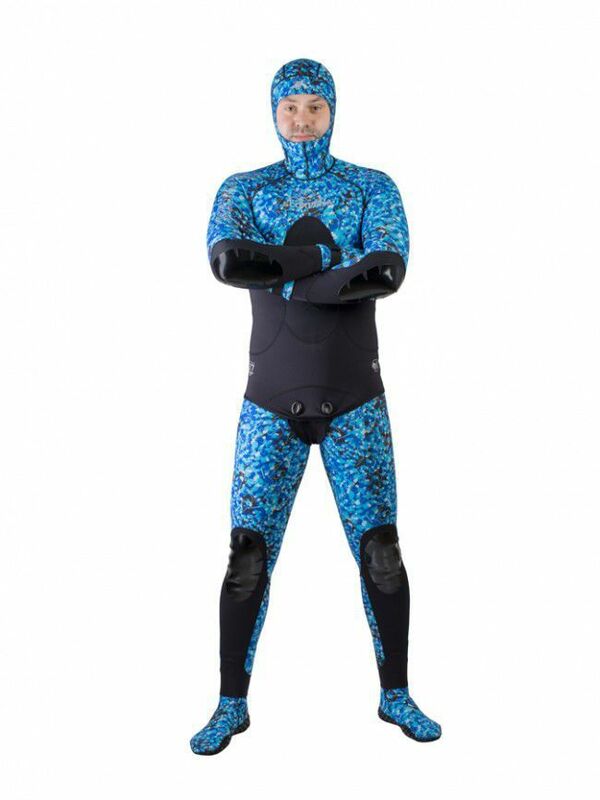 You can also select suitable camou age socks, gloves and other accessories.